Kalimba was developed and published by Press Play on Xbox One. It was released on December 17, 2014 for $9.99. A copy was provided by Press Play for review purposes. 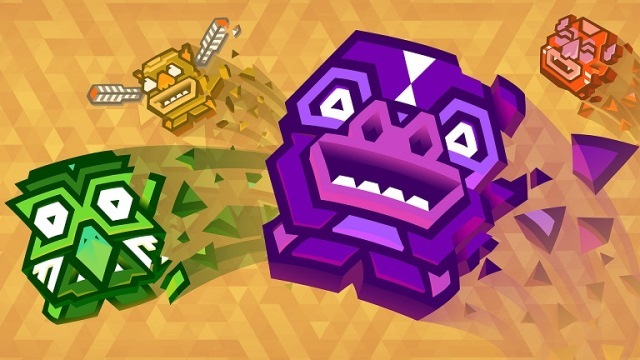 A funny thing happens while playing Kalimba, Press Play’s new puzzle-platformer for Xbox One. Your brain will shut off and you will go into auto-pilot. It might happen on your first attempt at a colorful new level, or it might happen during your 60th try at said level. But the stars will inevitably align, and the next thing you know, you’ll have made it to a new checkpoint that you had previously thought impossible to reach. 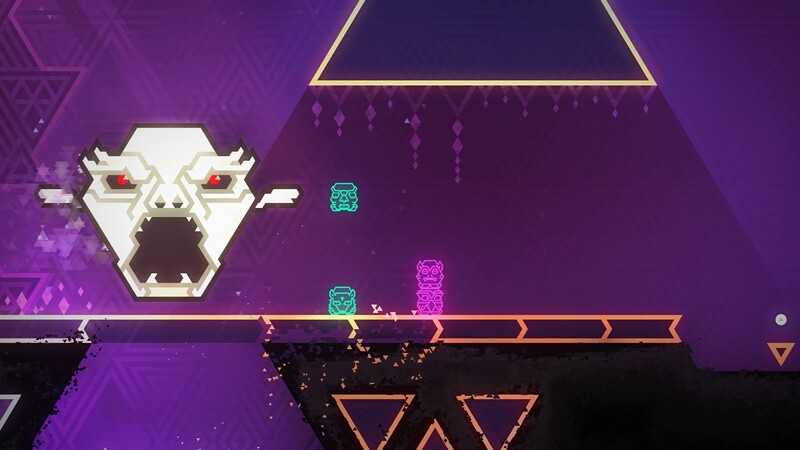 Kalimba has you controlling two totem pieces in tandem as you use both sides of your brain — and some really clever power-ups — to maneuver your way past enemies and through traps and puzzles. It’s not the first game I’ve seen in which you have to control two characters at once, but I think it just might be the best. Project Totem, the puzzle-platformer from Press Play, has been renamed Kalimba and is coming to Xbox One on December 17, the developer has announced. A new trailer showing the formerly titular totems platforming across various color-coded stages was released alongside the announcement. 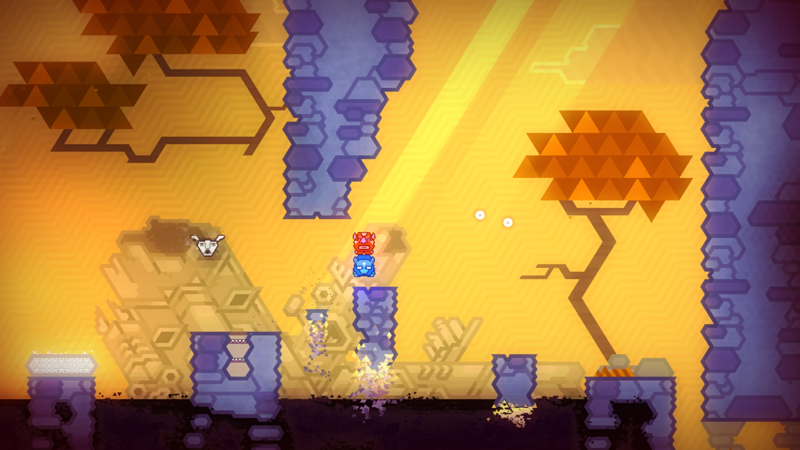 Kalimba, which features both single-player and a co-op modes, has players controlling living totems that are stacked on top of each other to form poles. 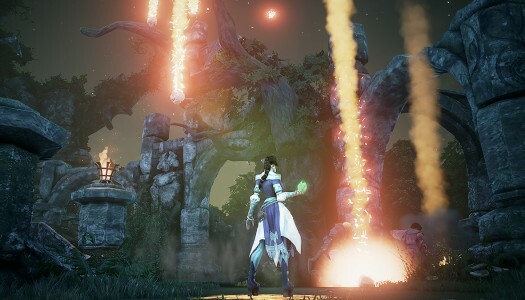 Creative Director Asger Strandby calls the co-op mode a “friendship tester.” XBLA Fans can speak to that point; our preview recounts some of the difficulties the team had in coordinating with each other to overcome the game’s obstacles. Shouting at your co-op partner is an inevitability. Each totem pole piece is a different color, which is more of a design choice than it is an aesthetic one. Each stage in Kalimba‘s three worlds is filled with colored barriers that can only be passed through by a totem of the same hue. 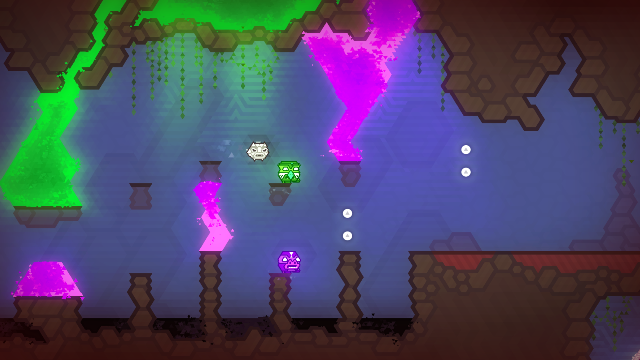 To progress through the game, players need to stack and align their totems so that each one is set to pass through barriers with their corresponding colors. Check the trailer after the jump to see this mechanic in action. Players start with a limited number of totem pieces, but they’re given more to work with as they move deeper into the game and come closer to rescuing the island of Kalimba from an evil shaman.